Would you like to learn more about how you can get the best out of the data you collect? We’re holding a free workshop on the 21st August to look at ways you can get the most out of the data you collect. 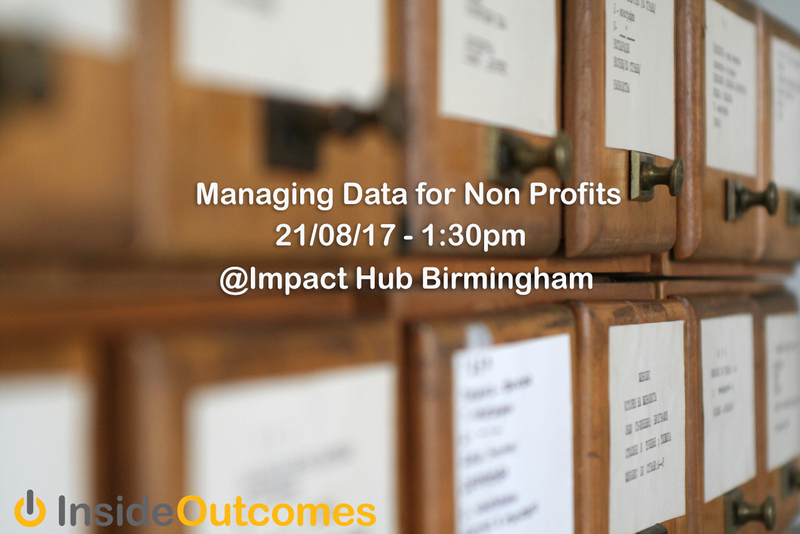 This free workshop is aimed at anyone that wants to learn about how to collect data and what to do with it. Many organisations, in the third sector, are required to collect data from the clients they support. Most of that data is used to meet the needs of contracts. Data can also be used to improve your business; changing the way you collect data can save time and money. Through this workshop, we want to help you think about the data you collect, why you collect it and what you do with it. Many organisations don’t give themselves time to think about this and end up being driven by data instead of getting it to work for them. The workshop will provide some practical examples of how data can be collected and used but will also provide space for you to talk about your data needs. This isn’t intended to focus on data systems or the technology side of data collection. If you would like to come along then the workshop is taking place on the 21st August at 1:30 pm at the Impact Hub Birmingham. Use the button below or go to our event on Eventbrite. Copyright © 2019 Inside Outcomes CIC. All rights reserved.